The clear notion to build up an intellectual capacity, securing access to the best academic centers on an international level for young and capable Bulgarians, who are needed to meet the challenges of transition, as well as for the integration of Bulgaria into United Europe and the world, is the main drivingforce determining the Foundation’s philosophy. The donor program 100 Nellie and Robert Gipson’s Scholarships for undergraduates with high academic achevements, whose families have financial difficulties, sttudying in Bulgarian universities, is a broad, unique and significant civil society innitiative aiming at both – the social spere and the process of young generation potential building through education. The program was initiated by Ms. Nellie Lozanova, who has been supported by the Foundation many years ago. 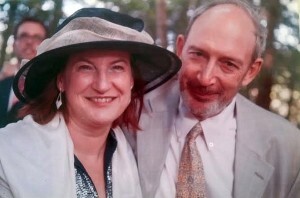 She is now married to Mr. Robert Gipson, a businessman and person with special attitude towards young people and their education. Both Princeton University and M.I.T. graduate, during his studies Mr. Gipson, has been supported by private donors and he never forgot tehir act of generosity and its significance to his life. The Gipsons came to the Foundation after the recommendation of H.E. Mr. James Perdew, then Ambassador of USA to Bulgaria. The Cyril and Methodius Foundation is in the basis of the design of this program. Despite of the economic crisis, the Gipsons continue their financial support to the program. The total sum they have rendered comes close to 1.4 million BGN. The scholarship paid to a student during the current academic year is 2,000 BGN and is awarded for the whole course of bachelor studies (4 years). Students studying law and medicine receive their scholarship support 5 and 6 years respectively. This donation lines up the Gipsons among our major donors, financing significant by scale and importance programs of the Foundation. 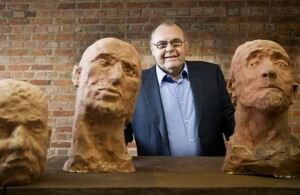 Mr. Hugo Voeten is a collector of contemporary art since 1970. Now he has the largest private collection abroad of Bulgarian art. He started his collection with artists from the Flemish school such as – PERMEKE, DE SAEDELEER, ENSOR, TIJTGAT, SPILLIAERT and others. Gradually his collection became an international one of great significance presenting authors such as: CHRISTO, VOLTI, RODIN, MAILLOL, GIACOMETTI, DALI, ANISH KAPOOR, WIM DELVOY, PANAMARENKO, ARNO BREKER and others. The collection includes many Bulgarian artists as well – painters and sculptures as Svetlin Russev, Emil Popov, Valentin Starchev, Pavel Koichev, Velichko Minekov, Krum Damyanov, Stanislav Pamukchiev, Milko Bozhkov, Svilen Blazhev and others. 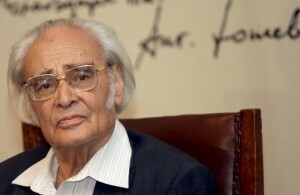 For his work in promotion and support to Bulgarian art, Hugo Voeten is awarded by the President of the Republic of Bulgaria with the Order of Stara Planina I degree, with insignia of honour Golden laurel branch of the Ministry of Foreign Affairs, he is a Doctor Honoris Causa of the Art Academy – Sofia and Honorary Citizen of Sofia. Since 2009 Hugo Voeten is Honorary Consul of Bulgaria in Belgium, for the provinces of Antwerpen, Limburg, West-Vlanderen и Vlams-Brabant. Hugo Voeten has been a sponsor of number cultural projects in Bulgaria – the National Art Gallery, the park with sculptures in the Ministry of Foreign Affairs, continuously supports the promotion of Bulgarian art in Belgium and at prestigious forums as the Biennale in Venice, Italy. A number of initiatives of the Pipkov National Music School were supported, as well as master classes in music lead by world famous instrumentalists as G. Lipkind, S. Russevm B. Vodenicharov, D. Takova and S. Klincharova. The success of the above projects would not have been possible without the professional and creative assistance of Acad. Svetlin Russev. Mr. Voeten is a member of the Bureau of the Cyril and Methodius Foundation. 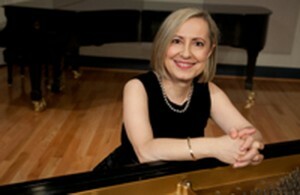 The famous Bulgarian pianist Prof. Pavlina Dokovska is the Head of the Piano Department at one of the cream of the crop schools of music in the USA – Mannes School of Music in New York City. She is also Founder and Artistic Director of Mannes Festivals and Southwest Virginia Festival for the Arts. We cordially thank Prof. Pavlina Dokovska, who is the producer and the engine of the concerts of scholarship holders of our Foundation titled ‘Musical Treasures from Bulgaria’ held annually in Carnegie Hall, Weil Recital Hall. Without her energy, professionalism and assistance, the organization of the above event would have been unthinkable. Prof. Pavlina Dokovska established and provides the funds for the ‘Lidia Kuteva’ scholarship for young pianists, commemorating the work of the prominent Bulgarian piano teacher who has trained brilliant piano players. The scholarship is awarded to a young pianist studying at the “Lubomir Pipkov” National School of Music, Sofia. For herself, Prof. Dokovska says: “I am very, very much Bulgarian. I left for the USA alone with a Fulbright scholarship. I had no friends. I have lived through years of hardship and now I consider it my moral duty to help young Bulgarian musicians, who come to the United States. I am busy organizing series of concerts, which I have titled ‘Musical Treasures from Bulgaria’. My goal is to acquaint the American audience with talented Bulgarian musicians”. Prof. Pavlina Dokovska is a member of the Council of “St. Cyril and St. Methodius” International Foundation. Антон Дончев е съвременен български писател, който създава исторически епоси. В тях на фона на историческите процеси и тенденции разкрива силата на българския национален дух. Писател мъдрец и хуманист, който цени силата на детайлите, долавя вълненията на своя народ, обича красивото и се прекланя пред духовното. Първият му роман „Сказание за времето на Самуила“ е публикуван през 1961 г. Става световноизвестен с романа си „Време разделно“, който е преведен на 30 езика с над 2 млн. тираж. Романът е екранизиран през 1987 г. от режисьора Людмил Стайков. Възнаграждението, получено от издаване на „Време разделно“, писателят дарява на Международна фондация „Св.Св. Кирил и Методий“. С тези средства Фондацията учредява две студентски стипендии „Време разделно“. По волята на дарителя, се изберат талантливи български младежи, започващи висшето си образование в областите „Българския език и литература“ и „История“. Те трябва да са от Смолян-област, от семейства с доказано ниски материални възможности и по време на следването си да са отлични студенти. Стипендиите се гарантират до завършване на бакалавърска степен, а стипендиантите се избират сред студентите-първокурсници от Софийския университет „Св. Климент Охридски“ – за специалността „История“ и от Пловдивския университет „Паисий Хилендарски“ – за специалността „Български език и литература“. This English version shows a summary of our major programs and activities. Detailed information on deadlines, procedures, criteria for selection, application forms, current issues, etc. is published in Bulgarian. If you do not read Bulgarian and need more information about a specific program / project / activity, please contact the program co-ordinator. Donation shows appreciation. You may feel like a drop in the bucket. But every drop counts!